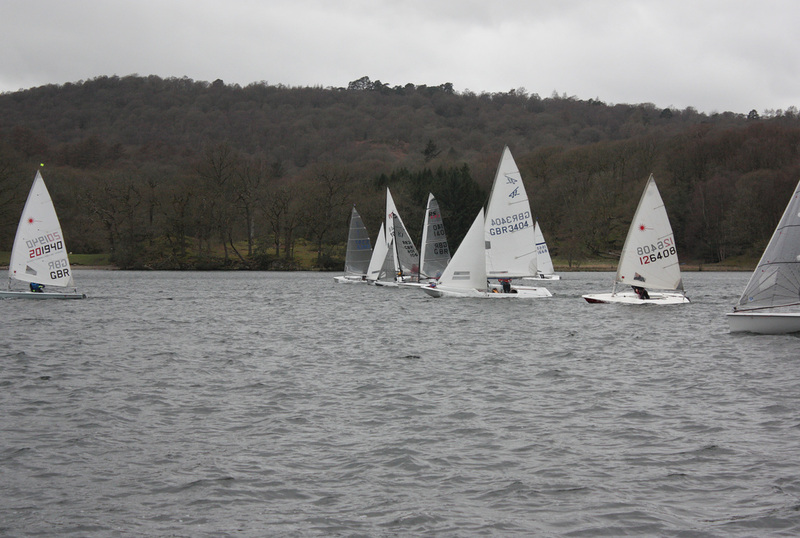 Nineteen boats and 25 adult and junior sailors battled with South Windermere's blustery winds in the first-ever Wintermere Open held on 24 March. Mike Deane from the host club won overall in his K1 despite sailing the wrong course in the first of the three races. Joe Quick from Coniston Sailing Club came 2nd in his Solo. SWSC member Guy Wheeler, sailing a Streaker, came in third and Royal Windermere Yacht Club member Phil Snewin came in 4th helming his Flying Fifteen. The two safety boats were kept busy with a number of capsizes. OODs Peter and Lynne Holt were able to set three decent courses despite the variable wind.